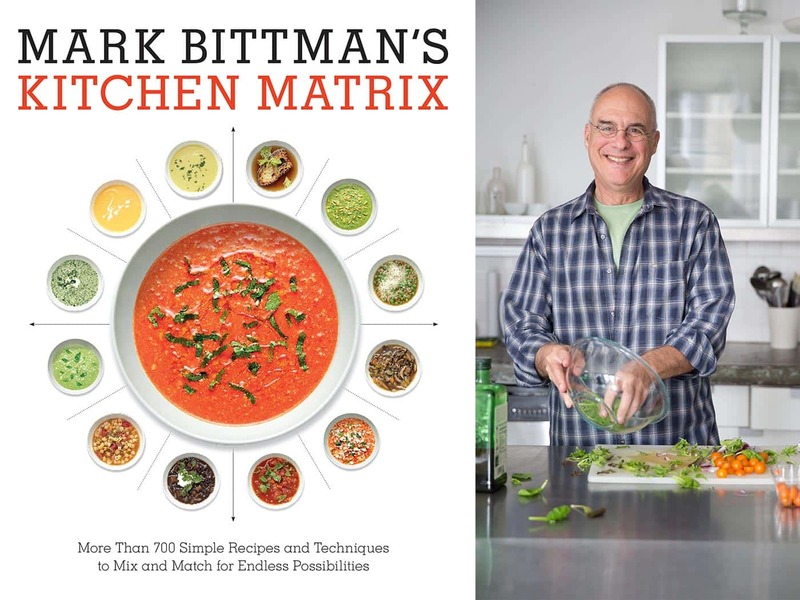 Who exactly IS Mark Bittman, you ask? He is a New York Times food columnist for the paper’s Dining section, acclaimed author of multiple cookbooks, he has been the recipient of International Association of Culinary Professionals, Julia Child, and James Beard awards for his writing and most recently of note to us vegans, in 2015, Bittman announced he will be leaving the New York Times to join The Purple Carrot as its chief innovation officer. The Purple Carrot is a start up company similar in structure to Blue Apron’s meal delivery service…but vegan. The first thing you’ll notice about this book is its heft! It is a beautifully bound, full-color, hardcover masterpiece with just over 300 pages. The book is divided into the following chapters: Appetizers and Entertaining; Soups, Stews and Sandwiches; Vegetables; Pasta, Grains and Beans; Fish and Seafood; Poultry and Eggs; Meat; Condiments and Seasonings; Fruit and Desserts and Baking. Something for everyone here. If you know anything about me or this website, I never buy a cookbook just because it is vegan, but rather look to every recipe and find out how I can make it vegan. That being said, this one already offers up copious amounts of vegetarian and vegan options. There are full color pictures for every base recipe and most variations. The photography and writing style are typical of Bittman with very high quality photos and well-written, descriptive text. I already follow Mark on social media and subscribe to his newsletter. Admittedly more so since his transition to veganism. This new release has made me even more of a fan. Some of the standout recipe collections include Cabbage + 12 different preparations. Potatoes + 12 different preparations including everything from the traditional latke, mashed with greens and fried. Brown Rice in the form of pilaf, stews, salads and even rice cakes. Twelve different Salsas, Tomatoes in salads, soups, stuffed and made into sauces. There is literally no shortage of inspiration here. In closing, I have to say I was very pleasantly surprised with this book. I knew with Mark’s name on it, the book would probably be a good one, but little did I know…it would be a great one. Truly one of my new ‘go to’ favorite cookbooks. I can’t wait to dig in and start cooking! DISCLOSURE: I received this book from ‘Blogging for Books’ for this review.